I think that things like resolutions are awesome. Considering that I made a big one a few months ago, and I’m still working hard on it, I’m not making any new ones right now. (Except that now I can cross-country ski instead of run!) Instead, I thought I’d give you a list of things I’ve accepted during 2013. 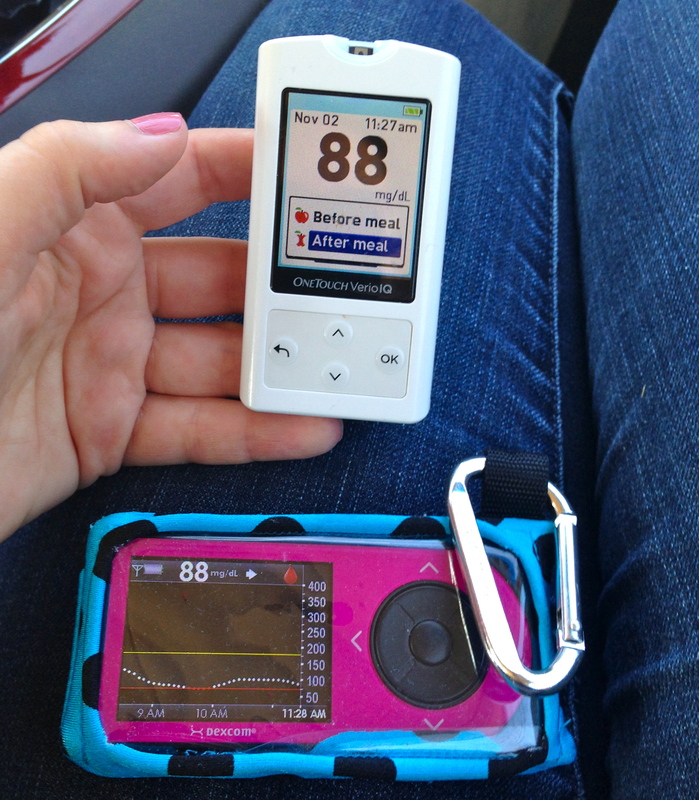 Taking a break from the Dexcom for me is just as important as the weeks I wear it. Sometimes not censoring myself is the best thing I can do. I am done with synchronized swimming for the foreseeable future. Unless their schedule changes, there’s just no way for it to work. I miss this form of exercise & social interactions, but the schedules just don’t mesh. Are there any things that you’ve accepted in 2013? I accepted that, regardless of my level of determination, it isn’t wise to rush change. The best approach to improving one’s diabetes management habits is to take things 1 step at a time. I also learned just how important self-expression is, especially if you’re living with a chronic condition. I’ve accepted that I HAVE to make a change this year, and it’s going to be a doozy! 🙂 Love the matchy matchy pic, by the way.